Tamboerskloof Tennis Club has a history going back to 1928 (on paper) and has trophies dated 1936. The club is situated in the heart of Cape Town’s city centre with a spectacular view of Table Mountain and Lions Head. Situated in an old brick quarry, most of the houses in the area were built with bricks made from the quarry. 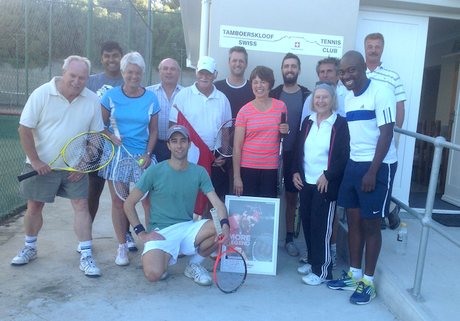 In 2012 the club was relaunched with a new Swiss contingent, as the Tamboerskloof Swiss Tennis Club. The club has also undergone a major upgrade, including two newly surfaced courts, flood lights and an extended and refurbished clubhouse. 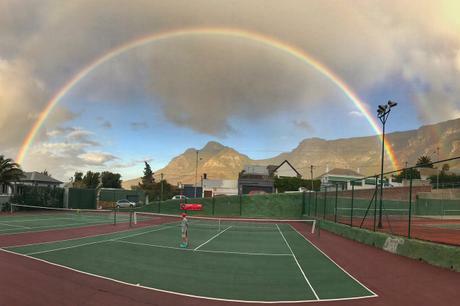 Tamboerskloof Swiss Tennis Club is a social club offering tennis players of all ages and levels the opportunity to play and enjoy tennis and participate in inhouse tournaments. Currently the club does not engage in league tennis, but offers an informal internal club ladder for members that are interested in some competitive tennis. 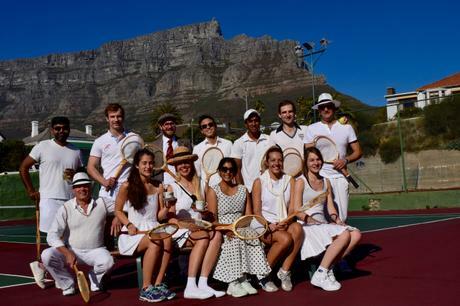 As much as our club loves social tennis, we also love social get-togethers, such as braais, breakfasts and quiz evenings, which are organised to get to know each other on and off the court. Check out our Gallery for past tournaments and events! A few of us with our Federer poster signed for us by the man himself! Vintage tennis social with scones, strawberries and cream! We are partnering with Khayelitsha Tennis Club (KTC) to promote interaction and to help out where we can. KTC consists mostly of younger kids who are super eager and talented but lack the means to buy equipment and pay for tournaments. KTC tennis club has been run single handedly by Sibongile Mlotywa for many years, and recently a few of us from TKSTC have joined him on a newly formed EXCO. Some of the ways we are working together include fun tennis and braai days, fundraising events, tennis workshops and TKSTC members playing for KTC in the league now and then. We are looking forward to even more collaboration in the near future. 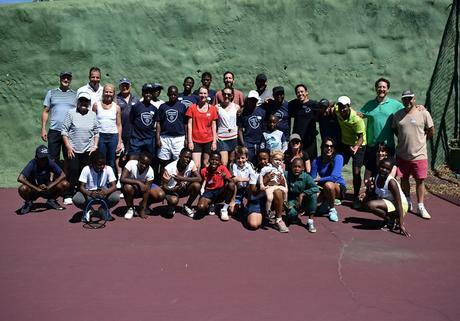 Fun afternoon tennis and braai with Khayelitsha Tennis Club!